Many Expert Authors feel like throwing in the towel after submitting their work to other websites and then waiting weeks (even months) only to receive a rejection without direction or support. Rejection is a crippling feeling for any author. 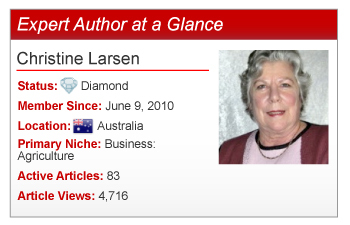 For Expert Authors like Christine Larsen, innovation and improvement as well as a deep-rooted passion overcomes rejection. After joining EzineArticles in June 2010 to improve her writing style and skills, Christine experienced the joy of seeing her writing published at last. 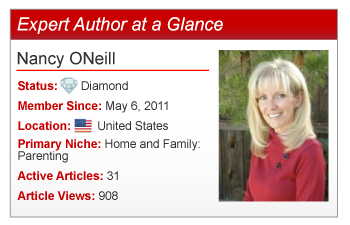 Using the feedback EzineArticles provided on her articles, Christine found value in the constructive criticism and has achieved the highest EzineArticles membership level: Diamond. 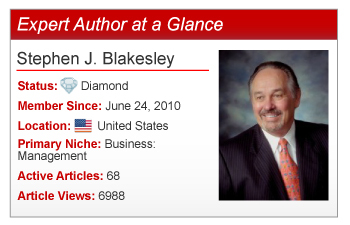 Hailing from Houston, Texas, Expert Author Stephen J. Blakesley may have begun participating in article writing in 2010; however, he has cultivated an incredible 50 years of valuable experience and insight. Helping individuals solve problems by providing them with the information and resources they need is the first step to writing quality, original, reader-oriented articles. 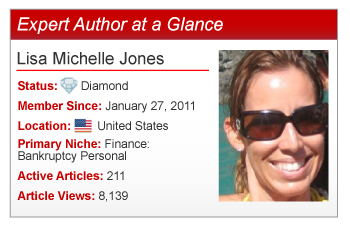 Not only has Expert Author Lisa Michelle Jones achieved this first step, she has done it in a highly competitive niche: Personal Bankruptcy. Having enjoyed writing her entire life, Lisa began posting articles on the Internet 5 years ago. “I started writing and posting, and it was all over, I couldn’t stop,” she said. 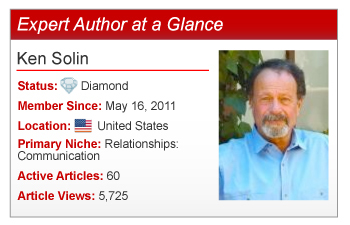 For over 20 years, Expert Author and lecturer Ken Solin has advocated growth and happiness by building relationships based on trust. How? Ken instructs his audience to build trust by speaking without ego, without judgment, and straight from the heart. Through speaking engagements, blogs, articles, books, and more, Ken specializes in advising men to move beyond the issues that limit their lives and educating women to recognize men. His main objectives are to teach men to become self-directed (not rely on extensive training/counseling sessions) and to promote emotional dialogue between men (and women). 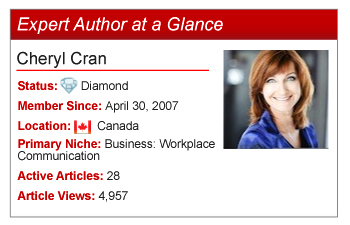 As a leadership expert and keynote speaker, Expert Author Cheryl Cran believes the future is about collaboration, innovation, and leading change. Lending support and encouraging leaders to grow, Cheryl provides strategies, solutions, and more to deliver results and increase productivity. Get a behind-the-scenes glimpse of the people who make the EzineArticles system successful! Not only will you find out more about their role at EzineArticles, you will hear stories about what it’s like to work here, gain insider tips, and maybe even get a peek into their personal lives. In the process, you will discover a little bit more about who we are as a company, a website, and as a team. Continuing the series is Kristi, EzineArticles Learning and Development Trainer. Find out how her entire focus is helping you make your article writing efforts easier, get a behind-the-scenes look into her role at EzineArticles, and discover her #1 tip for Expert Authors! Expert Author Showcase: Erica Goodstone, Ph.D. 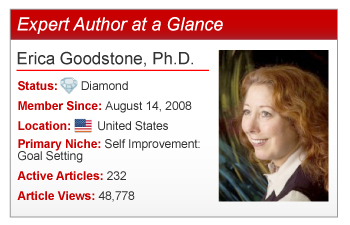 In a network of well over 400,000 Expert Authors, you may have asked yourself: “How can I make an impact in my niche and increase my chances of being seen?” Allow us to introduce you to Expert Author Erica Goodstone, Ph.D.
A model of Expert Author success, Erica is a force to be reckoned with – passionate, compassionate, and well versed in her area of expertise. As a former Professor of Health and Physical Education and as a therapist with a practice involving somatic awareness, mind body therapy and sexual and relationship counseling, Erica has found writing an incredible tool to increase her exposure as a leader in her field. 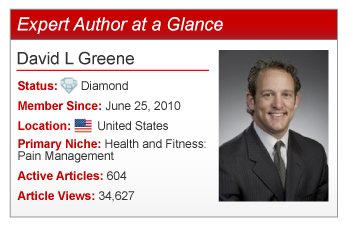 “By writing so many articles, I have established myself as an expert, knowledgeable in my areas of interest and expertise,” she commented. What do a lighting specialist, an art instructor, a cookbook author, a gardener, a poodle enthusiast, and an author of children’s stories all have in common? 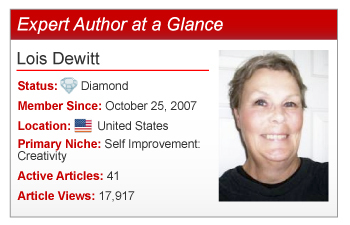 Expert Author Lois Dewitt. Since publishing her first residential lighting article in October 2007, Lois has continued to publish articles in nearly 20 categories. Motivated by a great variety of interests and her passion for art, Lois cultivates a wide range of inspiration from her YouTube subscribers to her art students. She then incorporates their comments, suggestions, criticisms, and more into quality, informative articles.